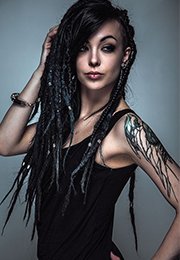 Hair care and lace closures are what you shouldn’t cut corners with in the daily life. Lace closure and lace frontal are the best kept secret of many celebirties online but not all women can get the same natural look. Today we will talk with Do and Don't as for the care of lace closures. The first secret to purchasing lace closures is to know what you are doing. Everyone can wear a wig and call it a day, but not everyone can pull it off like a queen. Be sure to do your research before you do anything else. As women, we should have some important FBI skills on the Internet and find something we want (whoever we are).You know it's true, ladies. So now it's time to use your tracking search skills to find out what you need to know about lace closures and lace frontals. A common mistake is to buy what-seems-to-be-a-good-deal on the Internet. In life, there are a few things where no-name version is a good option. Hope your future lace closure is one of them. That's not to say you have to take out your life savings, but as the saying goes: "if it looks too good to be true, it's probably true." So, avoid a seriously bad hair day by always shopping quality. As noted, not all hair-care products are created equally. 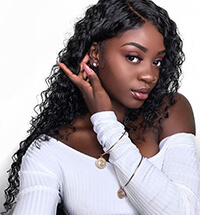 It is important to not only know lace closures and lace frontals are, but also the difference between the two, because the care requirements are different. For example, with lace closures, your hair grows and you need to retouch every few weeks.With lace frontal, you need to touch it with weekly maintenance. This is just one example, and there are more examples. So, you know the difference between the two, and you can decide which one is the best for you -- and the perfect look in the right care. If there is one thing you should delete from this blog, let it be the tip! 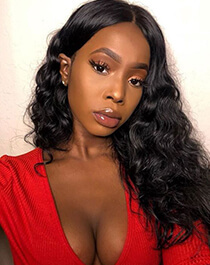 The lace front and lace closures are very delicate and require occasional special thin layers.You can't treat them like a real scalp.You need to be careful. So, as a rule of thumb, no scratches, no intense scrubbing, grooming or using poor-quality hair products. Listen, ladies, we know that when you wear lace closure, you'll be excited. But in terms of temperature, you have to lower one notch. Extreme heat can damage your hair and turn your flawless hair into something you don't like - it's definitely not good. So, let your man barbecue, don't get too close to the fireplace and avoid hot iron. If you don't know why you're doing it, it's hard to spend your hard-earned money on a lace closure or lace frontal. Obviously, you know you'll look flawless, but buying quality hair care and wigs has a lot of benefits. Do your research, understand its benefits, and promise to take care of your hair. 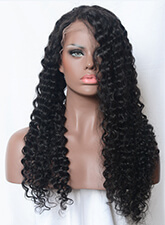 Go for checking Dsoar lace closure and frontal weave.